Saint Niklaus. 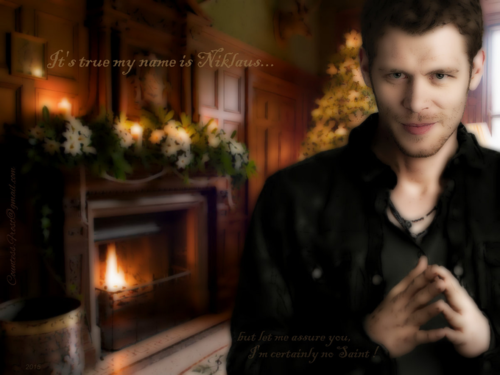 Saint Niklaus - a holiday वॉलपेपर created द्वारा TheCountess features Klaus (Joseph Morgan) of both 'The Vampire Diaries' and 'The Originals' TV series. 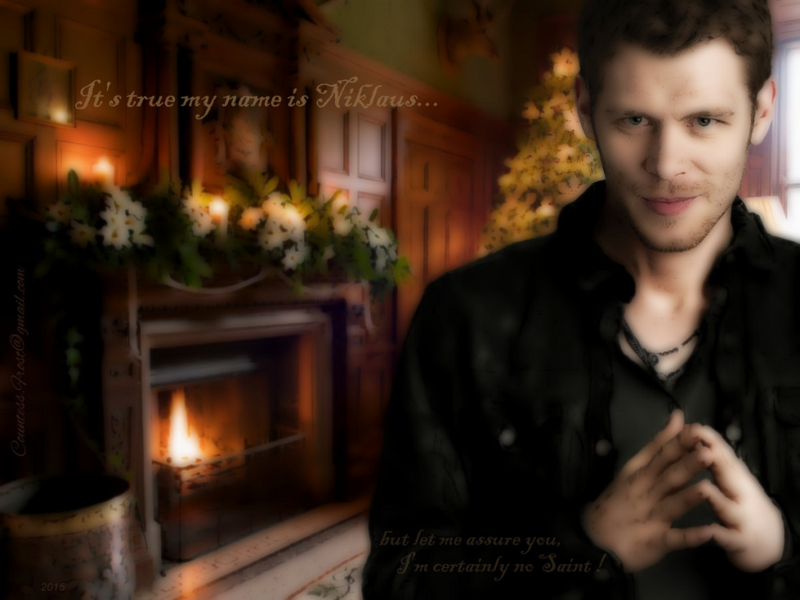 HD Wallpaper and background images in the दि ओरिजिनल्स club tagged: photo the originals the vampire diaries tv show klaus mikaelson joseph morgan vampire christmas holiday fan art wallpaper thecountess. This दि ओरिजिनल्स wallpaper might contain चिमनी, चूल्हा, चिमनी खोलें, फायरप्लेस, खुले फायरप्लेस, and खुली चिमनी.